Hemp twine 1mm, mini cord spools, 1mm cord, 6 spools per box, approximately 9.8 yards / 9 meters per spools. Please note: Due to the manufacturing process shades of color, length and thickness vary between different batches. Shades of color may appear lighter or darker on different computer screens. 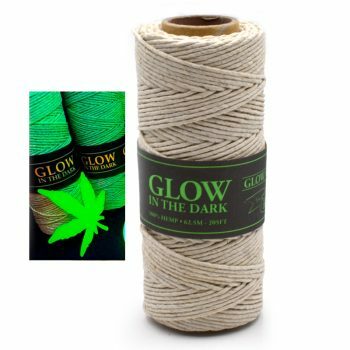 All measurements are approximate and natural flaws such as tie knots, variations of color shade and thickness along the strand are characteristic of hemp and natural fibers.